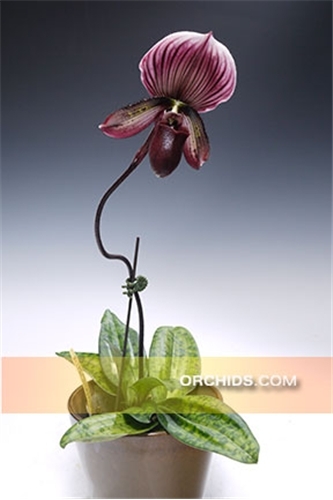 A great new vigorous Maudiae-type Paphiopedilum ! Its pod parent, Paph. Maudiae ‘Los Osos’ AM/AOS, is the best of the coloratum-type maudiaes, passing onto its progeny a nice broad dorsal sepal. It has been a proven parent for both vini and coloratum hybrids. Paph. 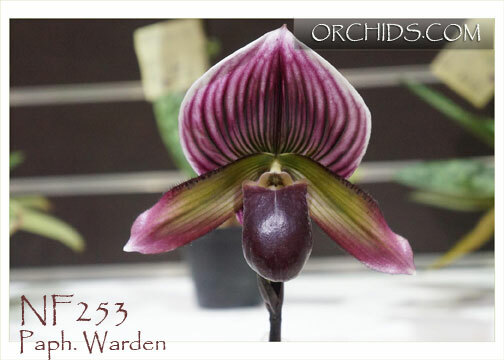 Warden has taken on the best of both its parents and seems to bloom on every new growth, flowering up to twice a year. Highly Recommended !